Businessman Frankie Cai has done it again. 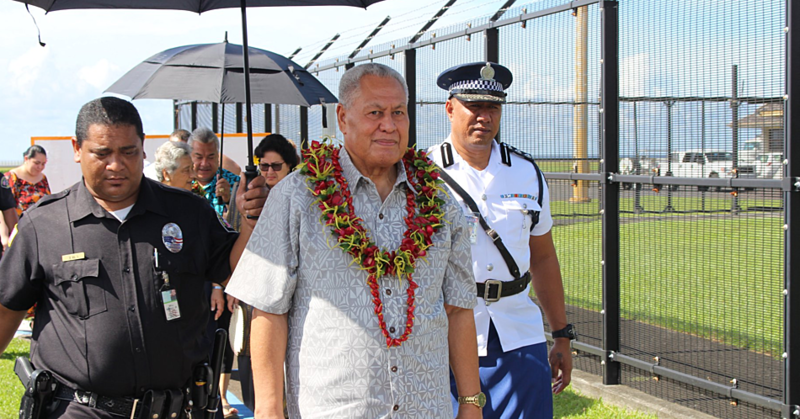 Prime Minister, Tuilaepa Sa’ilele Malielegaoi, opened the Vaitele-based $10million project yesterday. In congratulating Mr. Cai, P.M. Tuilaepa said only five per cent of the Samoan population consists of business people. The other ninety five percent comprises of people who do not have any sort of business, but they buy from shops like Frankie’s. “The government’s priority is to keep supporting all kinds of good businesses that will provide employment for our people,” he said. For Mr. Cai, yesterday’s opening was the continuation of a dream to help Samoa. But at $10million tala, it’s a steep climb. For Frankie’s, it all started from humble beginnings, small and delegate. By slowly developing plans to improve and carefully analyse the market, he’s grown to become one of the leading retailers in Samoa. 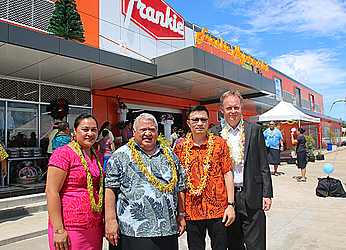 With nine stores nationwide – including a mall at Fugalei – Frankie’s now employs more than 600 people. 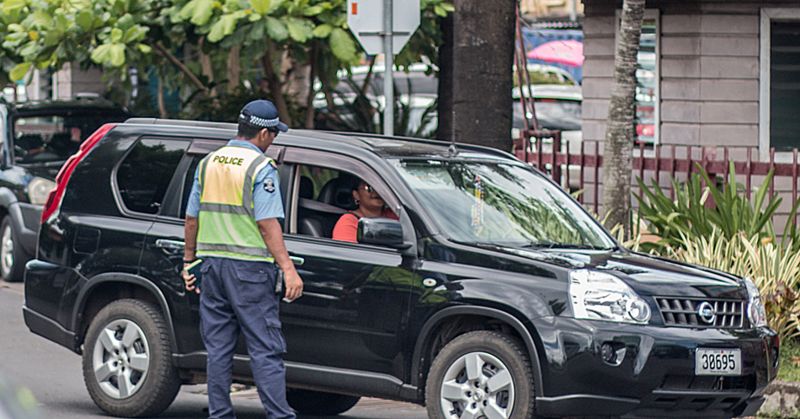 “We currently have over 600 employees in total,” Mr. Cai told the Samoa Observer. “We are trying to give back to the Samoan community the best way we can and for me, creating employment opportunities is a really good way of giving back. “We heard that Yazaki will unfortunately come to a close soon, so I told my staff to contact them to offer any of their staff members a job at our new hypermarket. This is why the government is so fond of Frankies. Mr. Cai said, that with every new project, he plans on developing every aspect of the business for better service to the public. “This new hypermarket is similar to our other businesses,” he said. “But with every project we are trying to improve its quality, so we are bringing more variety of goods for a better choice range for people. “We are also concentrating on bringing better quality goods and also better customer service with an improved hygiene standard. 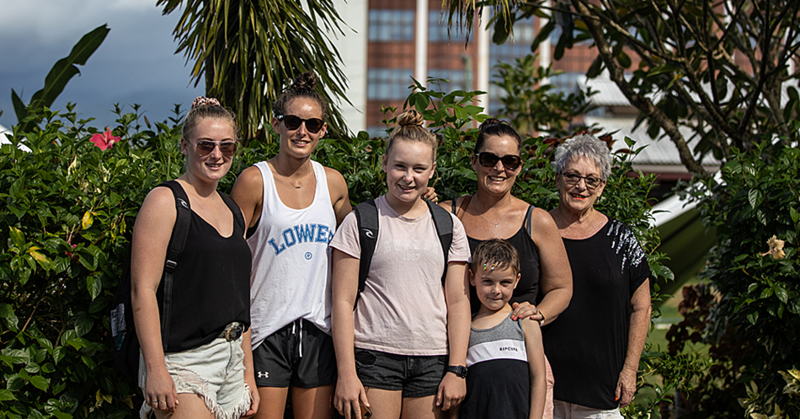 There’s no denying the fact that Frankie’s has been with us for an extended period of time, always providing affordable goods and much-needed services to the public of Samoa. The company’s latest venture is part of an overall desire to improve those services.